Can you answer this riddle: What’s the best exit strategy when a private company CFO seeks the following? 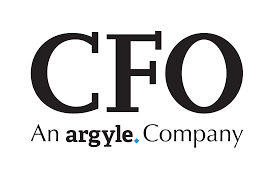 Matt’s article was published in CFO in September 2018. If you answered “sale to a private equity firm (or a strategic buyer),” we have a winner. Of course, there are bonus points for any response that includes the more complete answer: While sale to a PE firm may solve for all of the above, the sales process is, nevertheless, incredibly daunting and rife with pitfalls. That’s true not only for first-time sellers, but even for CFOs who’ve been to the institutional owner rodeo before. The PE investment thesis is predicated on opportunities to increase value through revenue growth, margin expansion, operational efficiencies, cost savings, or cash-flow improvement. A CFO that can speak the same language as potential new owners — by taking the lead in developing a value creation plan — lets those investors easily understand the trapped value in the business over the next five to six years. Value-creation initiatives include both a focus on growth and operational contraction/efficiency. The former relates to both revenue growth (acquisitions, product expansion, the development of channel strategies, pricing optimization) and margin expansion (cost optimization, strategic sourcing, shared services). The latter addresses operational efficiencies (lean manufacturing, automation of processes, reduction of waste) and cash-flow improvement (demand planning, sale/leaseback of assets, managing payment terms). The CFO should work with both the business and operating units to quantify the impact of each initiative over time on sales, contribution margin, EBITDA, and cash flow. The finance team should also develop tactical execution plans, appoint leaders, hold weekly status updates, and create feedback loops for each initiative. Bottom line: A well-thought-out value creation plan (one which is not only developed from both a top-down and bottom-up perspective, but also includes the quantifiable financial impact of each initiative) will result in a more streamlined due diligence and a higher sale multiple. Here, it’s important to provide historical views of operating and financial performance down to the lowest common reporting factor. For example, a fully integrated manufacturing business can perform a pocket margin analysis to capture an accurate historical view of profitability. That analysis can be used to show profitability at the business unit, plant, product, SKU, channel, end market, or customer level and should reconcile with a company’s general ledger so that investors are comfortable that they’re viewing a complete set of transactional data. Bottom line: A cohesive narrative (where operating and financial metrics are aligned with the pitch to investors) will build credibility during the due diligence process and save CFOs from spending valuable time and resources producing one-off analyses. What repeatable and scalable operational processes has your company developed that can be replicated inside acquired businesses? What is your approach to sourcing, evaluating, and integrating acquisition targets? What financial economies of scale can be achieved through headcount reduction, shared services, location or plant rationalization, and product consolidation? How can you demonstrate that these levers of value creation have worked in the past? What synergies can your company bring to a deal and what is the value of each synergy over time? How can the combined companies leverage and accelerate R&D? How will the dynamics of industry purchasing and selling power/behavior be altered through a merger? How does your company help a strategic buyer drive growth? How does your company help a strategic buyer create cost efficiencies? How does your company help a strategic buyer achieve product or customer diversification? How does your company enable entrance into new markets, geographies, or verticals? Bottom line: The preparation of qualitative and quantitative data-driven business cases to support the overall investment strategy will not only increase the likelihood of a sale, but will allow the CFO to focus on executing core business strategy instead of spending more time on due diligence. Whether it’s due to a lack of time, resources, or internal team expertise, a CFO may overlook critical sale prep initiatives. But when CFOs understand the importance of speaking private equity’s language, telling a cohesive corporate story, and telling it in the context of broader market dynamics, they not only lay the foundation for a successful transaction, they grease the wheels for a faster, more favorable deal. Matt Marcus is a Managing Director at Accordion, the private equity financial consulting and technology firm focused on the office of the CFO. A cohesive narrative will build credibility during the due diligence process and save CFOs from spending valuable time producing one-off analyses.